Los Angeles California festivals and events – Here is your complete list of all the top festivals and events for Los Angeles this year. 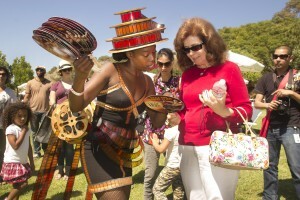 Los Angeles is known as one of the best cities in the nation for festivals and events scheduling. The exact dates vary from year to year so please check the links where available to learn exact dates for current year. Also, check out out article on the Top California festivals and events for 2014 and also, let it be known that the State Fair of California is going to be a great one this year! Are you looking for a great place to stay in Los Angeles? Well take a look at some of our top rated hotels in Los Angeles California for your favorite festival or event. Don’t miss out on the great lodging and hotel accommodations offered in this beautiful city at unbeatable rates! Here is your list of all the top events in Los Angeles California. Select the event you would like to get more information on, where applicable and go to the festival page. The post 2019 Maine festivals and event and the best county fairs and things to do appeared first on Festivals4fun. The post 2019 Best Kansas festivals arts and craft shows and hit events you cannot miss! appeared first on Festivals4fun. The post 2019 Louisiana festivals and top 185 events and county fairs you cannot miss! appeared first on Festivals4fun. The post 2019 Kentucky festivals and top 65 events and things to do appeared first on Festivals4fun. The post 2019 Maryland festivals, events, county fairs, and top things to do in MD appeared first on Festivals4fun. The post 2019 Top Hawaii festivals arts and craft shows county fairs and events appeared first on Festivals4fun. The post 2019 Illinois festivals and top events and IL county fairs appeared first on Festivals4fun. The post Top Delaware festivals art and county fairs and 100 best events in 2019 appeared first on Festivals4fun. The post 2019 Greatest Idaho festivals county fairs and top events appeared first on Festivals4fun. The post Top Florida festivals events and things to do in 2019 appeared first on Festivals4fun. The post 2019 Top Iowa festivals arts and craft shows and events you cannot miss appeared first on Festivals4fun. The post 2019 Indiana festivals, top 100 events, county fairs and things to do in IN appeared first on Festivals4fun. The post Arkansas festivals and events for 2019 appeared first on Festivals4fun. The post 2019 Top Georgia festivals events county fairs food fest appeared first on Festivals4fun. The post Arizona festivals and top things to do in 2018 appeared first on Festivals4fun. The post 2019 Connecticut festivals and events county fairs and film festivals appeared first on Festivals4fun. The post Alaska festivals and top events, county fairs, music fests, and things to do in 2018 in AK appeared first on Festivals4fun. The post Top Colorado festivals county fairs and best events for 2019 appeared first on Festivals4fun. The post Top Washington festivals and events not to miss in 2018 appeared first on Festivals4fun. The post New York festivals and events you can’t miss in 2018 appeared first on Festivals4fun. The post Top Utah festivals, events, county fairs, music and art festivals in 2018 appeared first on Festivals4fun. The post Top Pennsylvania festivals for 2018 and top events and county fairs appeared first on Festivals4fun. The post 2018 Nevada festivals and top celebrations events and county fairs appeared first on Festivals4fun. The post 2018 Greatest Mississippi festivals arts and craft shows and events appeared first on Festivals4fun. The post Virginia festivals county fairs and top art and music festivals in 2018 appeared first on Festivals4fun. The post 2018 Best Michigan festivals arts and craft shows and top events appeared first on Festivals4fun. The post 2018 Rhode Island festivals and top events and county fairs appeared first on Festivals4fun. The post Top Massachusetts festivals, county fairs, and more events for 2018 appeared first on Festivals4fun. The post Top 45 South Dakota festivals and events in 2018 appeared first on Festivals4fun. The post 2018 Best New Hampshire festivals celebrations and events appeared first on Festivals4fun. The post 2018 Greatest Ohio festivals arts and craft shows and events appeared first on Festivals4fun. The post 2018 Montana festivals and top 80 events and county fairs appeared first on Festivals4fun. The post 2018 Oklahoma festivals county fairs and top events you cannot miss appeared first on Festivals4fun. The post 2018 New Jersey festivals and top 175 events and county fairs you cannot miss! appeared first on Festivals4fun. The post Tennessee festivals, events and things to do in 2018 appeared first on Festivals4fun. The post 2018 Top Wisconsin festivals and events appeared first on Festivals4fun. The post Top Oregon festivals and events not to miss in 2018 appeared first on Festivals4fun. Top 100 Texas festivals fairs events and things to do in 2018! The post Top 100 Texas festivals fairs events and things to do in 2018! appeared first on Festivals4fun. The post 2018 New Mexico festivals and top 145 events and art shows appeared first on Festivals4fun. The post 2018 Greatest Nebraska festivals arts and craft shows and top things to do appeared first on Festivals4fun. The post 2018 Greatest Missouri festivals county fairs, celebrations, and top events appeared first on Festivals4fun. The post Top South Carolina festivals and events for 2018 to 2019 appeared first on Festivals4fun. The post Wyoming festivals and events to check out in 2018 appeared first on Festivals4fun. The post North Dakota festivals and events 2018 appeared first on Festivals4fun. The post Top Vermont festivals county fairs, events and things to do in 2018 appeared first on Festivals4fun. The post February 2018 Florida Festivals and events review and listings appeared first on Festivals4fun. The post Official 2018 February Alaska wildest things to do and events by attendee votes appeared first on Festivals4fun. The post OOfficial 2018 February Alabama greatest county fairs and celebrations by attendee votes appeared first on Festivals4fun. The post 2018 January Alabama festivals, county fairs and greatest art festivals appeared first on Festivals4fun. Here are your top listings for events and festivals in Los Angeles California this January. Here are your top listings for events and festivals in Los Angeles California this February. Here are your top listings for events and festivals in Los Angeles California this March. Here are your top listings for events and festivals in Los Angeles California this April. Here are your top listings for events and festivals in Los Angeles California this May. Here are your top listings for events and festivals in Los Angeles California this October. Top reasons Los Angeles California festivals will be awesome this year! One Response to "Los Angeles California festivals and events"